Embroidered Personalized Dog tanks. 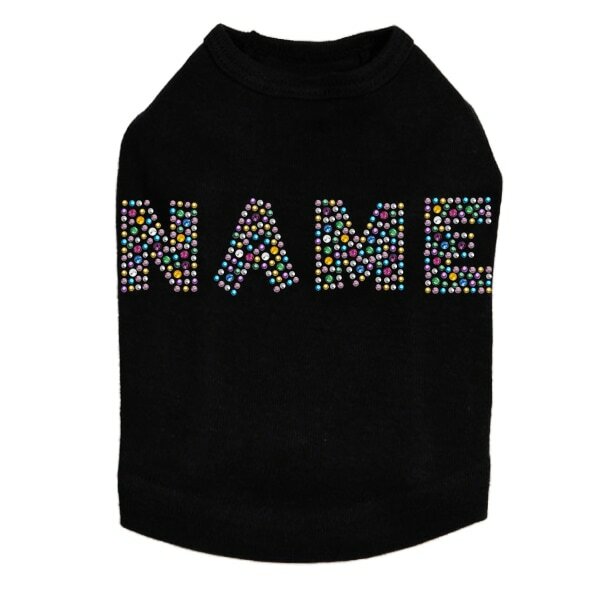 Choice of Design with your pet's name. ​Made per order. Please allow 2 weeks to ship. ​Design colors may vary depending on the shirt color. ​If there is an embroidery design you would like that we do not offer please contact us with link to the design, using our contact form. Please measure carefully personalized items may not be returned. Tank Color Choices: White, Red, Blue, Pink, Heather Gray, Royal Blue, Fuchsia, Lime Green, Kelly Green, Black. Special Instructions Letters, numbers and other characters are available in 1/2", 1", and 1.5" sizes. 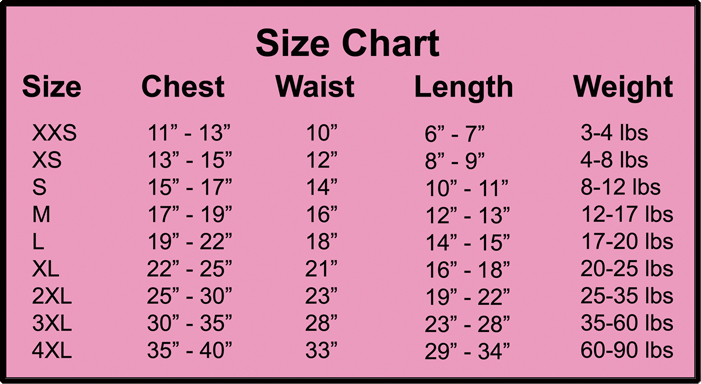 We will use the size that works best on the size shirt ordered.